If you are interested in a commission please click Commissions for further examples of my work - both pets and people. If you would like some ideas or just want to discuss, please feel free to ring on the above number or email me. I am just a phone call or email away from that special portrait, whether it is of you, a loved one, a friend, a family pet, or to be given as a unique gift! Please clink into Alan's Art Shop for a wide selection of art to buy. If you cannot see what you would like please contact me on the above telephone number email me to arrange a commission. Please click into Mahlstedt Galley in New York who is now selling originals drawing and prints from my Steam Punk, Fantasy and Sci-Fi collections. Do you want to enhance and develop your pastel painting techniques? To exceed your dreams in painting - to produce those works of art that your never thought possible? Well join me at one (or more) of my pastel art weekend workshops. I will show you contemporary techniques, how to produce fur that you will find others wish to stroke, create realistic skin tones that brings your portraits alive, with eyes that sparkle. These, and many, many more, are just a few of the techniques, hints and tips that I will share with you, when you join me at one of my pastel art workshop. I am just a phone call away to sign up to this great painting adventure. Alternative just book on line by clicking on the 'Weekend Workshop Button' below. An example of my work in oils. If you are interested in developing your skills in this medium please see my workshops and tuition page. 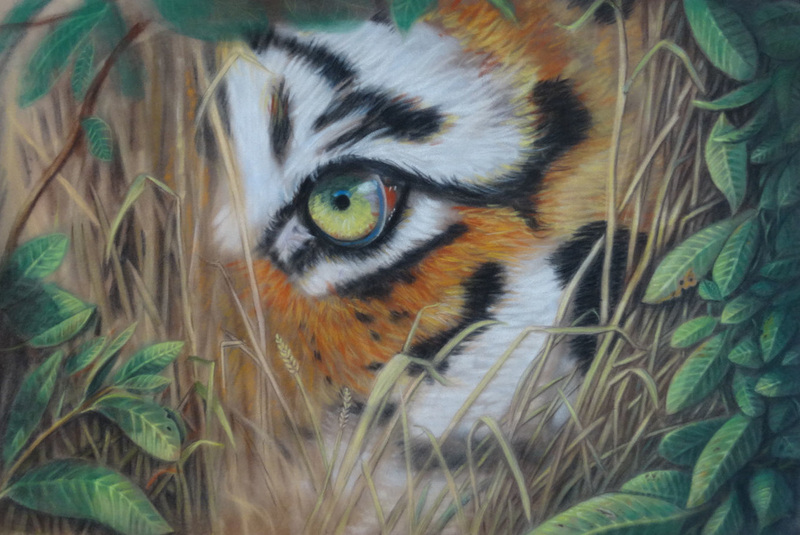 An example of my work in pastels. 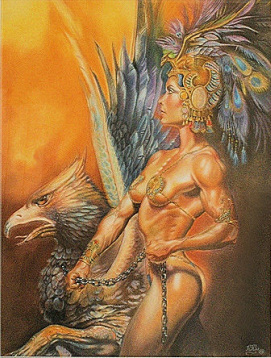 The original by Boris Vallejo If you are interested in learning how to develop or enhance your skills using pastels please see my workshops & tuition page. 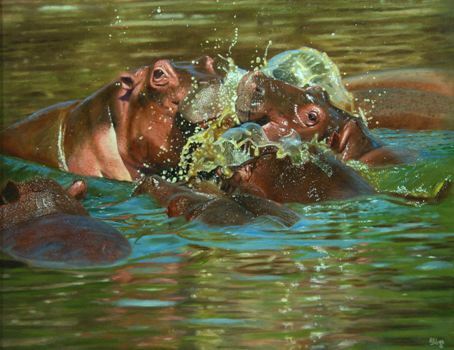 I was delighted to win the late Simon Combes Award for the best African wildlife depicted in its habitat, with the above oil painting of Hippopotamus fighting in the river. In assessing this award the judges looked for originality and an imaginative approach to the subject. It is a real honour to have won the Best Pastel Prize 2014 at the Winchester Art Society Annual Exhibition, with this painting entitled 'Scruffy Urchin'. I am delighted and honoured to have won the Members' winning vote with my painting of 'Lauren' at the Portsmouth & Hampshire Art Society's Exhibition 2014, as the standard of work in the exhibition this year was very high, as it has been in previous years. This is an example of my portrait work in pastels. 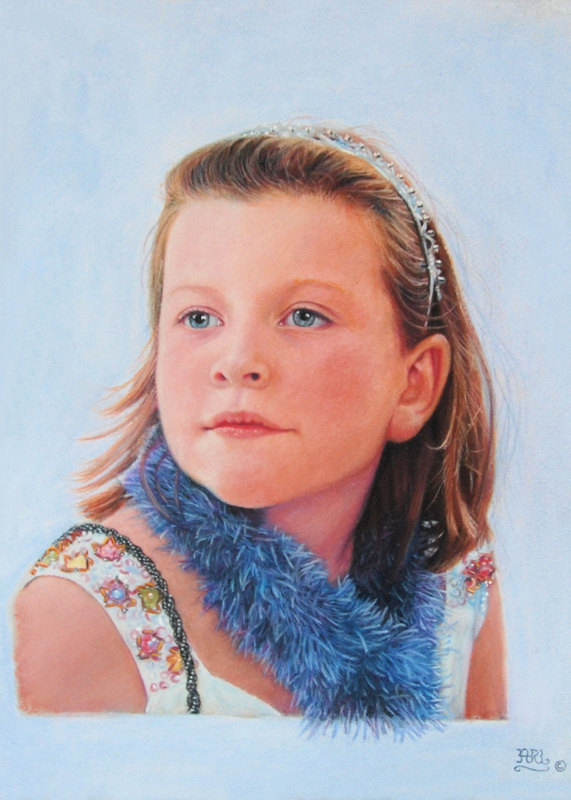 If you are interested in a portrait in pastels or oils please see my commissions page. If you are interested in developing your portrait skills in pastels or oils please see my workshops pages. I Spy. Painted in pastels on velour paper. I just love painting tigers. Such powerful, magnificent animals. Masters in their territory! I loved this picture of Ophelia by Cuong Nguyen, (which may be viewed in the Artists & Illustrators Magazine, August 2013 Edition.) and I attempted to paint it in pastels using the same coarse pastel paper that he suggested. I found it so difficult to use that I used Clare Fontaine pastel mat instead, and I am very pleased with the result. 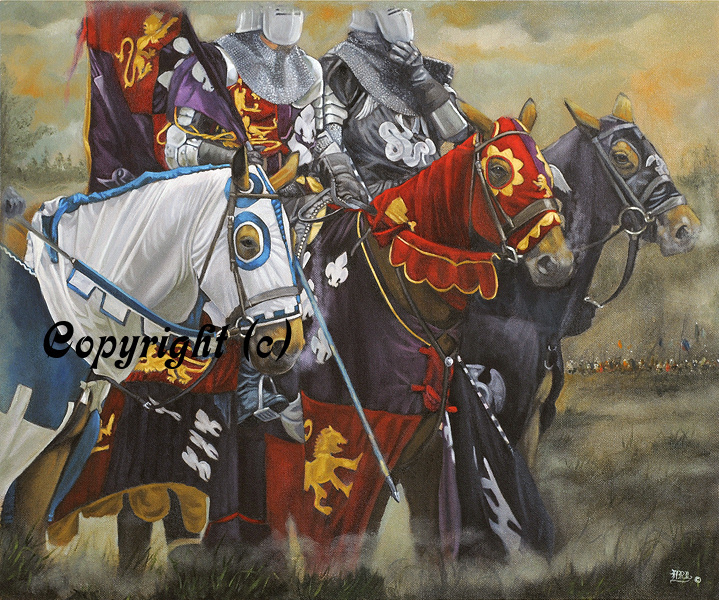 Photographic realism artist specialising in wildlife, pets, fantasy & historical art. 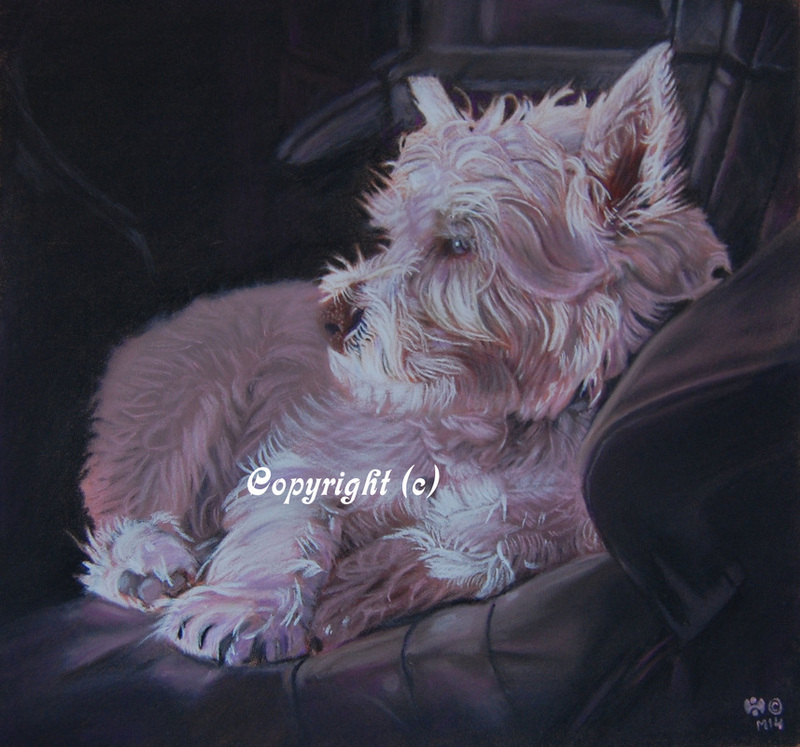 Specialise in commissions in oils, pastels & graphite. 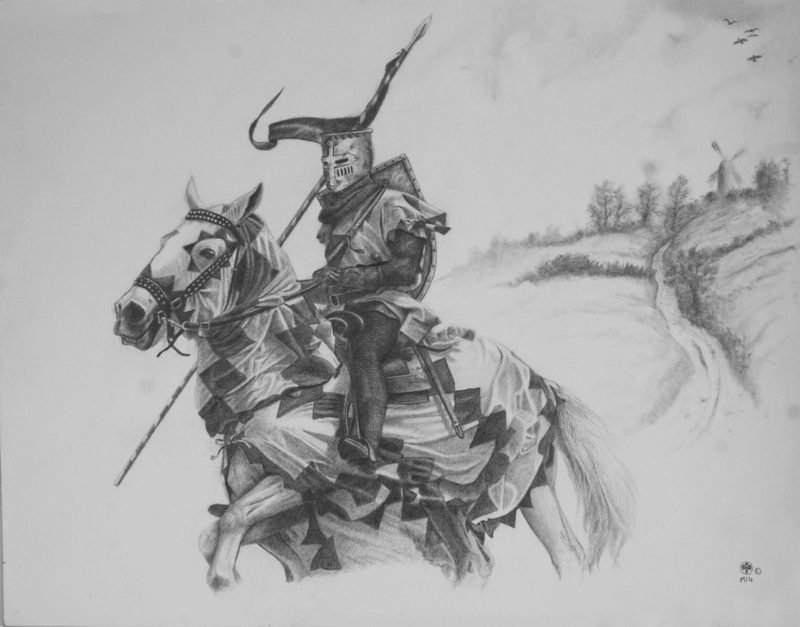 Originals paintings & drawings, prints & cards for sale. (c) Alan Longmore. All rights reserved.